I could talk about how amazing 2015 was for hip-hop all day. For the most part the staff picks summed that up on it's own. Spoiler Alert: Fetty Wap didn't Make @WatsTheMovement #AOTY2015 List. I count him as R&B since he sings waaaay better than he raps. Lots of debuts of new artists. Lots of genre bending music. If you're wondering why your favorite artist isn't on this list remember we rate this list on lyrics, production, flow, popularity, sales and uniqueness. Your favorite didn't do all of those (or it was a mixtape) as well as these did. There's no denying everyone on this list encompasses all aspects of the criteria. . All in all these lists are opinionated at the end of the day. I still did my best to remove self from the equation. I preach all the time there is a difference between the best and your favorite. Either way it's subjective. I hope this sparks conversation (not controversy) but I present to you, What's The Movement's 5th Annual, Hip-Hop Album of the Year: The 2015 Edition. Picking a number five is probably the hardest thing ever. To deny so many great albums like The Documentary 2 from The Game, Summertime '06 from Vince Staples, Dark Sky Paradise from Big Sean, and more from this list pains me. It really does. However my pick last year got a nomination and rounds out our top five. Logic's sequel to Under Pressure is the album to really open ears everywhere. His first got everyone's attention and now everyone is listening. Chronologically the album paints a great tale of Tom, Kai, and their AI, Thalia (from the last album) and their journey to Paradise. The skits are funny but have their deep moments. Although his debut got a higher rank, musically this album was much better. That really says a lot about how much better 2015 was than 2014. The singles Like Whoa and Young Jesus featuring Big Lenbo are still in rotation. I also really like City of Stars. He combats being a kid that looks white but is really mulatto and how that effects him, the people around him, and the industry itself. I guess we could call it a response to J. Cole's Fire Squad verse. "I didn't talk about my race on the whole first album. But black vs white bullsh*t was the still the outcome." Deep stuff, deep album. Read my original review here. The official debut album of Joey Bada$$ makes our list at number four. Lots and lots of growth since we first heard from the 20 year-old from Brooklyn. I enjoyed this album a lot. Probably the best way to kick off a new year. To still make it on this list from January to December is no small feat. This is the oldest album on the list so to remain relevant this long is impressive. I enjoyed Paper Trail$ which is a rework of his collab with DJ Premier, Unorthodox. Like Me is my favorite song on the album. Everything was perfect. It was produced by the legendary J. Dilla, and features the talents of BJ the Chicago Kid on the hook. I also enjoyed Teach Me featuring Kiesza. It takes a spin from the normal sound we are used to hearing from Joey. I still listen to Christ Conscious in the gym too. Song is too gritty and the beat and delivery is fire. Read the original review here. I could go on and on about this album. This was probably my favorite album to listen to this year. It was refreshing having the old Wale back and for good. The continuation of the About Nothing series brought joy to the heart of his core fans. I'm sure it was a lot of pressure eased after he released it. Lots of people could say he fell off (including myself) post-MMG. I'd say I was wrong. All and all I enjoy the direction he is headed. TAAN served as a new debut to what Wale could (and probably should/want to) be. Lyrically he showed how clever he was, and the use of Jerry Seinfeld on the skits was golden. The singles were great especially The Matrimony featuring the talents of Usher on the hook. Beautiful song I think our generation may even dance to at our weddings. Other songs that stood out were The Need to Know featuring SZA and The Bloom featuring Stokley Williams. You can check out what I had to say in my original review earlier this year. In May I knew this was definitely going to be in the conversation of Album of The Year. It was dropped as a surprise. No singles and Free99 on iTunes. Surf was like a feel good version of The Roots as Queen and I say. Chance serves as the Black Thought to Donnie T and the Sox. I said my words on it in July and they stand true today. Replay value is still important and I can still listen to every song on here. Every song is a surprise, you never know who could feature on here next. J. Cole, Erykah Badu, Jeremih, Busta Rhymes, Quavo, Big Sean and many many more make appearances. Some people played Chocolate Factory at their cookouts this summer, I played Surf. Read the original review here. Since Good Kid m.A.A.d city dropped the world has been saying one name as far as hip-hop goes, Kendrick Lamar. In my opinion the general public handed him the game on a silver platter as if the way was paved for him. Frankly that train of thought was wrong. Countless features on hit songs, dropping an instant classic in GKMC, and the verse heard round the world in Control has garnered the public's respect. Overrated? Possibly, but it wasn't a question if TPAB was the best album of the year. The question was finding an album that was better. When all was said and done there wasn't. To Pimp a Butterfly was our unanimous pick this year. It was so complex Issah AND Niles both wrote reviews. It contained elements of Jazz and Funk to compliment his music. We saw that in his work with George Clinton and frequent collaborators Thundercat, Bilal, and Anna Wise. Kendrick also kept true to his west side roots and made G-Funk songs like Institutionalized that include the talents of Snoop Dogg while still preaching the good fight. 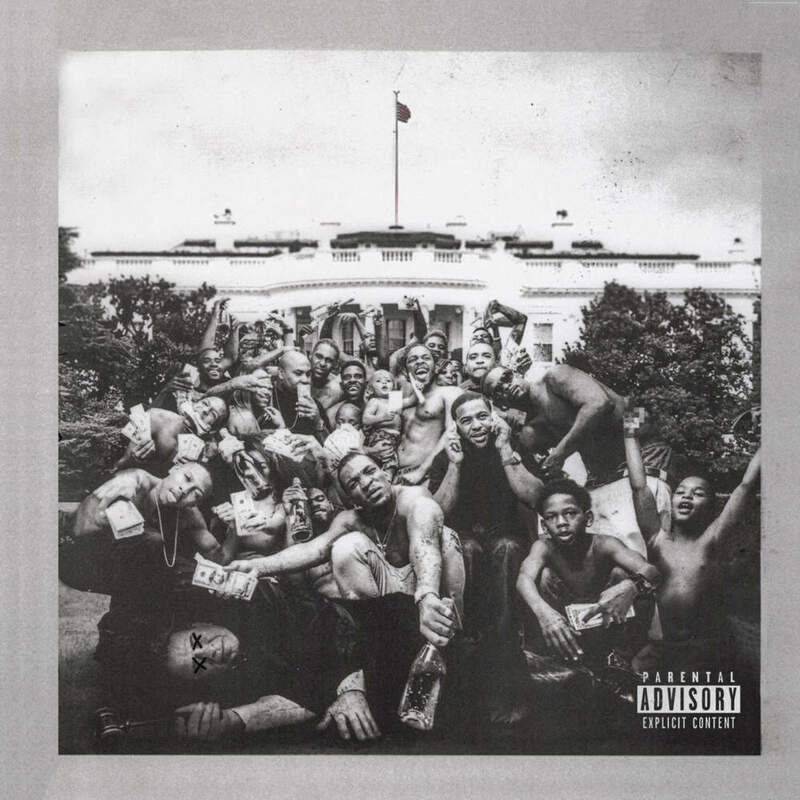 I was surprised no one from the TDE stable made an appearance on this album. The singles were cool. His lead single I was dope because he changed it to sound like a live performance on the album version. He always has a twist to his radio edit and his album version like he did on Swimming Pools from the previous project. He also dropped videos for King Kunta, These Walls, and more. u was super super deep to my heart. I understood what it was like to self evaluate and climb from a state of depression so that hit home for me. Climbing out of the funk was important and Alright was just the song to do it. Song order was perfect here. It's no question in my mind that Alright was the best song this year, don't argue with me. "If I got you and if you got me and if God got us then we gone be alllllriiight!" You can't help but be excited listening to that at any venue whether it's your dorm, the club, shoot even at church. Kendrick wrapped up the album in the most amazing way with a posthumous interview with his predecessor, Tupac Shakur. The song was titled Mortal Man and featured James Fauntleroy. I didn't think this was going to be a sequel to GKMC. Beforehand I figured the album was going to touch on where he's grown as a man. Kendrick has an amazing ability to spark the minds of his listeners to think. Not necessarily relate and agree but to formulate thoughts of our own. Like Cole before him he performed a song in tribute to those lost from Police Brutality before the album on Colbert Report. You can see that in our preview. I think the album was very timely. Really important in the stage we are and where this country is headed. I used to wonder how he could talk about money, cars, clothes, hoes, God, and history in the same sentence. It makes sense now. . TPAB gets 4.77 of 5 stars on the Ramsey Rating Scale. With that being said King Kendrick has successfully won repeat AOTY's on What's The Movement. What's to come this 2016? It doesn't matter as long as the music continues to get better. Keep listening my friends.